Small babies often suffer from common ailments. And parents panic. Natural, isn’t it? The best way to deal with those ailments could be never letting them happen. “Prevention is better than cure.” Heard of it? Why not apply it? Start feeding foods that boost baby’s immunity & build a strong immune system. Medicines cure the illness but fail to safeguard the baby from the problem and that is when immunity takes charge. This is what I learned from my sister’s experience with her daughter’s illness and several visits to the doctor. It is simply the quality or state of being immune. The body’s immune system aids in protecting a person from foreign infections that can affect the body. And tailoring your baby’s diet with essential nutrients is the best way to go about it. And having a strong immune system is really important to fight those infections. How do I increase my baby’s immunity? Is that the question that popped into your mind right now? How about increasing it naturally? Yes, it can be done. While there are a number of ways to proceed with it, tailoring your baby’s diet with essential nutrients is the best way to go about it. Which foods can boost my kid’s immunity? Well, I am not telling you to cut down on medicines totally, but look into the long-drawn solutions to the problem. – I suggested to her, and so will do to you. Let’s watch this short video displaying 7 Immunity Boosting food items for your baby that are at your home. 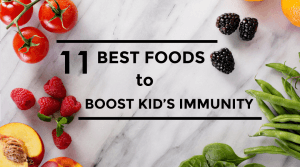 Does including immunity foods to my child’s diet really help? Minor health problems can be kept at bay if the right foods are served from the very start. 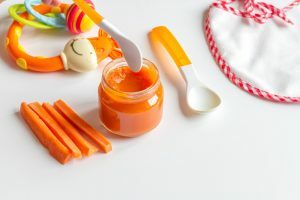 A nutritious diet plays a vital role in building a strong immune system for your baby with the hygiene, vaccinations, and sleeping patterns kept in mind. My sister included immune-boosting foods into her baby’s diet plan. Gradually she saw a change in her baby’s general health and well being. Also, see what our expert Dr. Michelle Frank has to say about it at the bottom of this article. Let’s look into more foods which can help your baby’s immune system. This brightly colored vegetable has beta carotene in great amounts. Baby’s body turns this beta-carotene to Vitamin A, thus helping the baby to regulate the immune system. 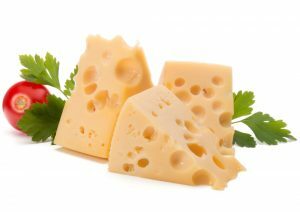 A good source of Zinc, cheese plays a massive role in enduring the immune system. Zinc assists in the production of antibodies which helps fight infections. 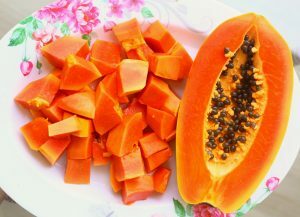 Loaded with nutrients, papayas have a decent amount of potassium, Vitamin B, and folate, which are beneficial for the overall health of the babies. Helps prevent the cold from taking hold in the very first place. Also, helps in decreasing chronic pain and controls cholesterol. Grandma’s favorite remedy chicken soup, has got some hard science behind it, mommies! It helps ease the symptoms of the common cold. 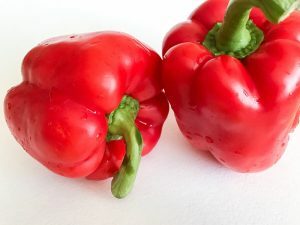 A rich source of beta carotene, it helps to maintain a healthy skin. As mentioned in video, garlic does much more than just punching up the flavor of the food. Due to the ability to fight bacteria, viruses, and fungi, it helps beat the skin infections. There are a lot of nutrients present in this super-food. Folate being one of them helps the body to make new cells and repair DNA. A great source of Vitamin D. It helps to regulate the immune system of the baby and is known to boost the body’s natural defenses against diseases. 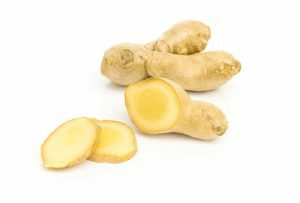 Well known for giving curries their rich yellow colour, this spice is rich in circumin which helps the baby to fight colds and flu. Apart from being refreshing, this great fruit has plenty of an antioxidant called glutathione. It helps the baby’s body to strengthen its immune system and fight infections. Dr. Michelle Frank on how immune boosting components are beneficial for your child’s immunity. With the progress of time, has come the progress of medicine. However to this day every medical professional advocates a healthy lifestyle, before prescribing medications. Incorporating immune boosting components into your little one’s daily meals is the most basic way to keep the nasty bugs at bay. Fresh ingredients host a wide variety of vitamins and minerals that are the fundamental building blocks of one’s immune system. Starting from a young age your baby’s system can be fortified to act against the daily pathogens it is exposed to. Want a precise answer to your questions? Take a quick look at one of our mom’s query on nutritious foods to increase immunity power. Post your queries in the comments sections below and get expert’s advice. A kid fanatic. Have no frills about it, its just the truth. Loves to write about Baby Care and Mommy issues. Keen to learn, share and connect with moms on the exhilarating journey called Parenting. Hi there! Being a mom is a very hectic job as it involves constant taking care of your children and making sure they don’t fall ill. My mom has been giving me Dabur Chyawanprash since I was 3 years old and it has helped me stay away from infections such as cold and cough. I would suggest you visit to know more about how to improve the immunity in your children. It’s really helpful. 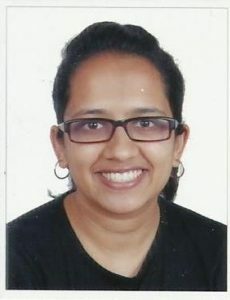 I’m Tasnia Rushdi from Bangladesh, writing first time, but I couldn’t understand where would I write my baby’s problems, can you help me? 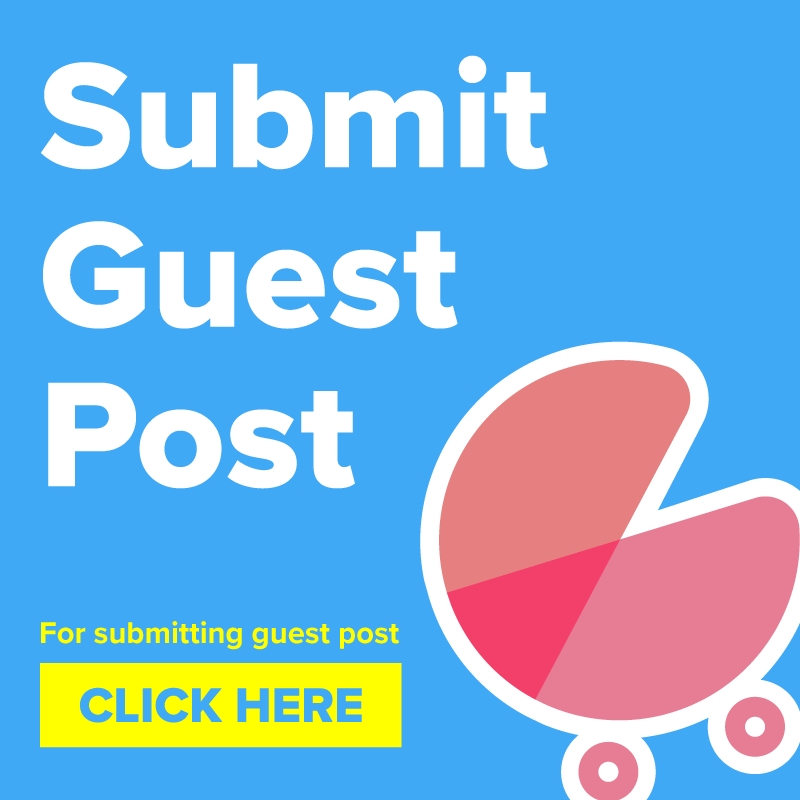 I like your site and want to continue writing about my baby’s health care. 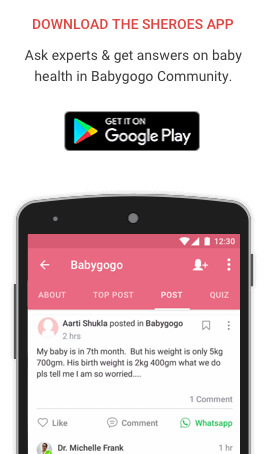 Just go to the https://www.babygogo.in/newsfeed/ page and you will have to Sign-up using your Gmail Id or Facebook Id and then you can go to the Ask Questions Tab and ask your queries in our Mothers Community. Additionally, you can also download the Babygogo app from Google Playstore and ask your questions on the app too. thanks for the information, thanks a lot. I pay a quick visit everyday a few websites and sites to read content, except this blog offers feature based writing. Hey, Shima. Glad that you found it useful. Do try these foods they would surely help in improving your baby’s health.